Dual Pack Day & Night WideEyez — Only $59.95! 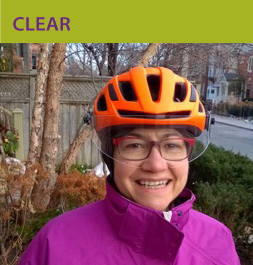 Wide-Eyez is a first-of-its-kind HELMET SHIELD for cyclists that expands your field of vision while deflecting glare and precipitation. Using a straightforward yet ingenius design, the Wide-Eyez helmet visor easily attachs to just about any bike helmet. It creates a robust visual buffer between bicycle riders and the elements, increasing your riding comfort and peripheral vision. Wide-Eyez is especially effective in taming conditions like wind, rain and intense sun. Wide-Eyez can be worn with or without glasses, day or night, and comes in clear and tinted finishes. The Wide-Eyez effect? Better, faster, safer cycling in any kind of weather. 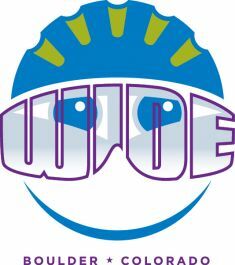 Wide-Eyez was created by Colorado cyclists who go long and hard year-round . . . for fun, fitness and to get places. 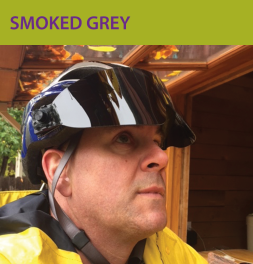 The Wide-Eyez helmet shield has so enhanced our riding experience, we are sharing it with the world! 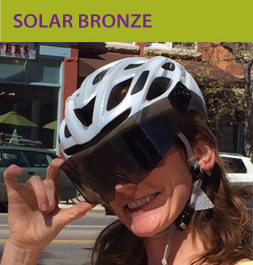 Made in Colorado-USA, Wide-Eyez is evolved cycling technology that enhances your riding experience each and every time you go!